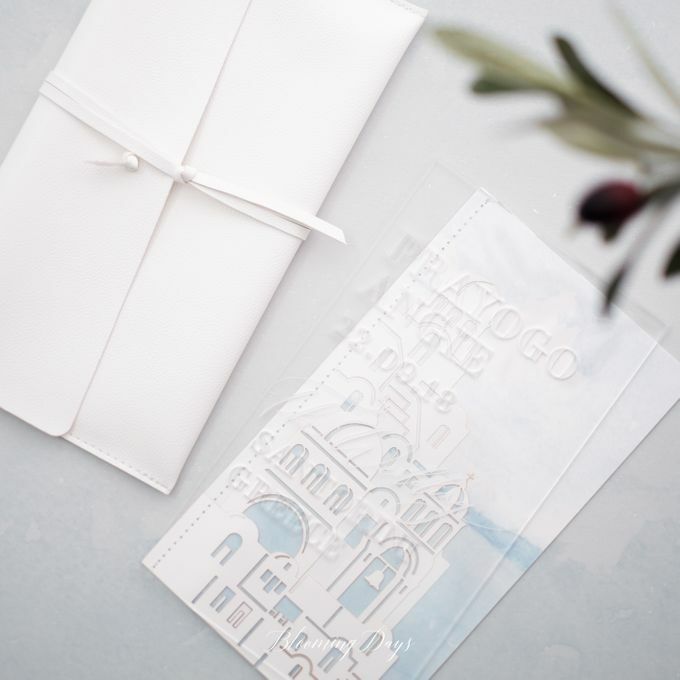 Another dream destination wedding. 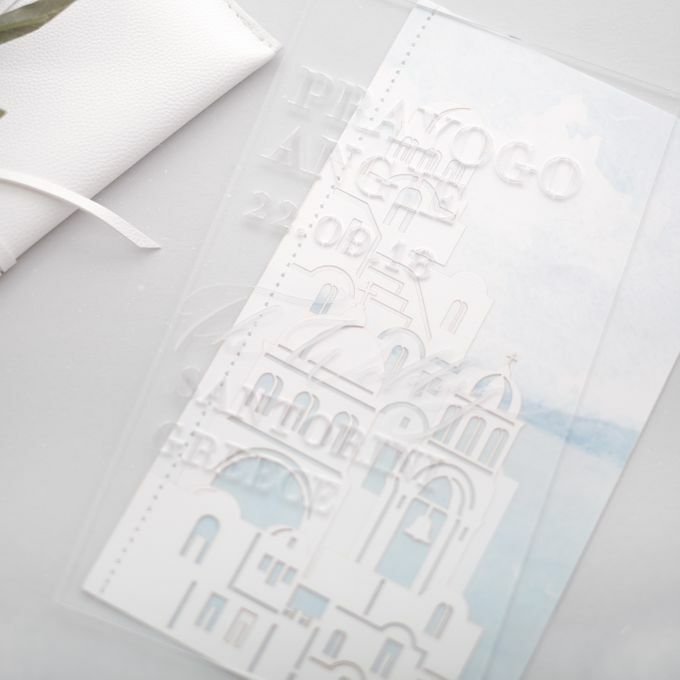 Simple laser cutting Santorini’s building was perfectly made to bring up authentic Santorini’s atmosphere. 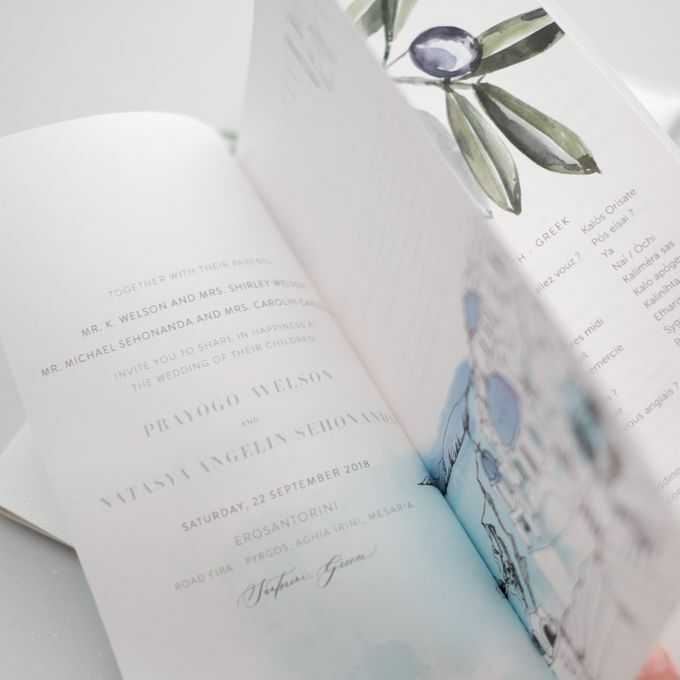 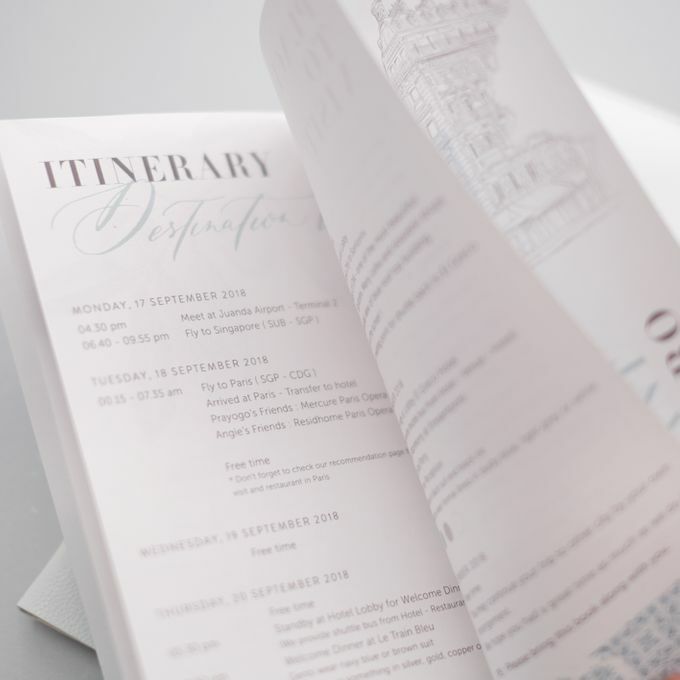 Tone of dominant white and soft blue, and acrylic material for the main invitation were a perfect way to create a modern, sleek yet gorgeous wedding on the whole suite. 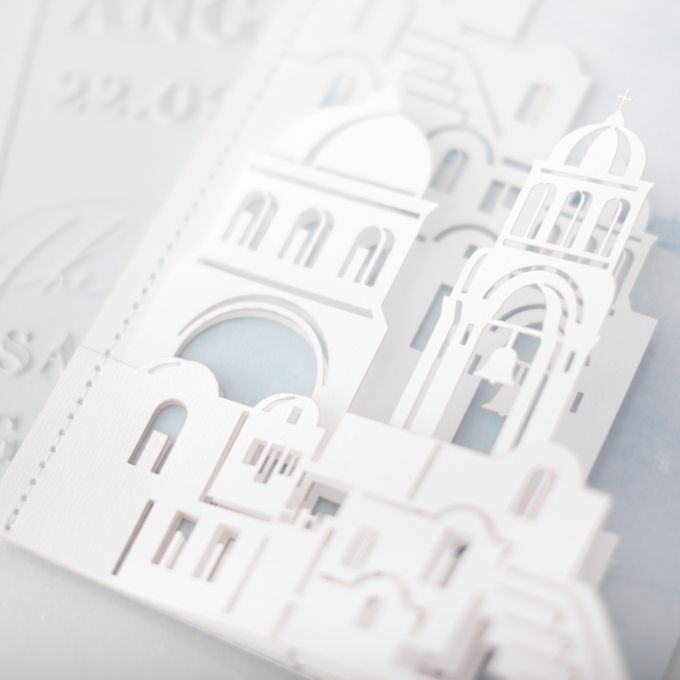 Beautiful on paper and acrylic with laser cutting.